Hello everyone! 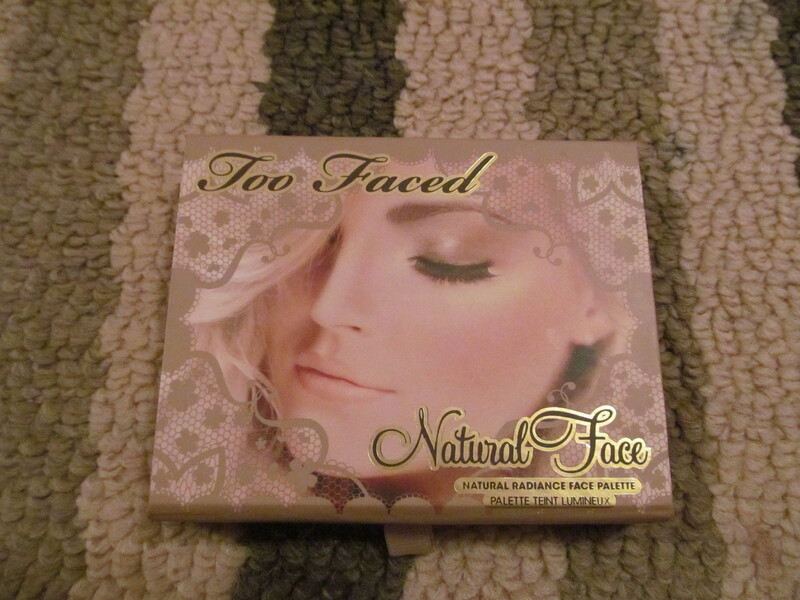 A fun review today on Too Faced’s Natural Face palette and to clarify this is the first on that they came out with and not the new one that was released with nice packaging (that palette is a little darker than this palette). 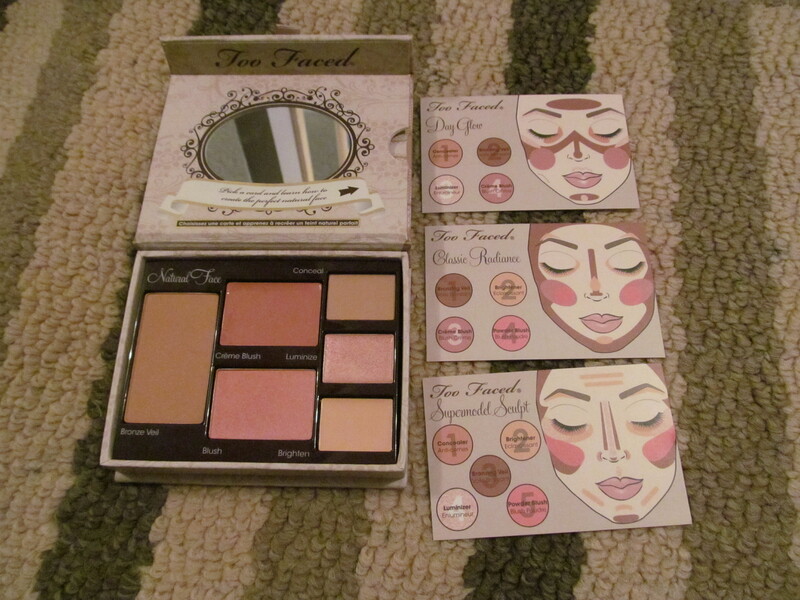 Description: An all-in-one face palette to complete the natural look on your face. 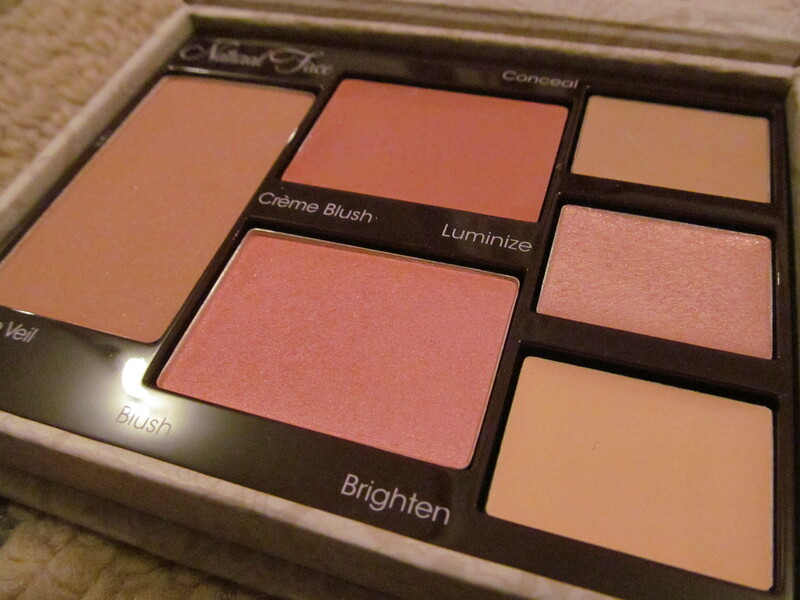 The palette contains a light bronzer, rose cream blush, light peachy pink blush, a concealer, pinky cream luminizer and a light cream brightener. 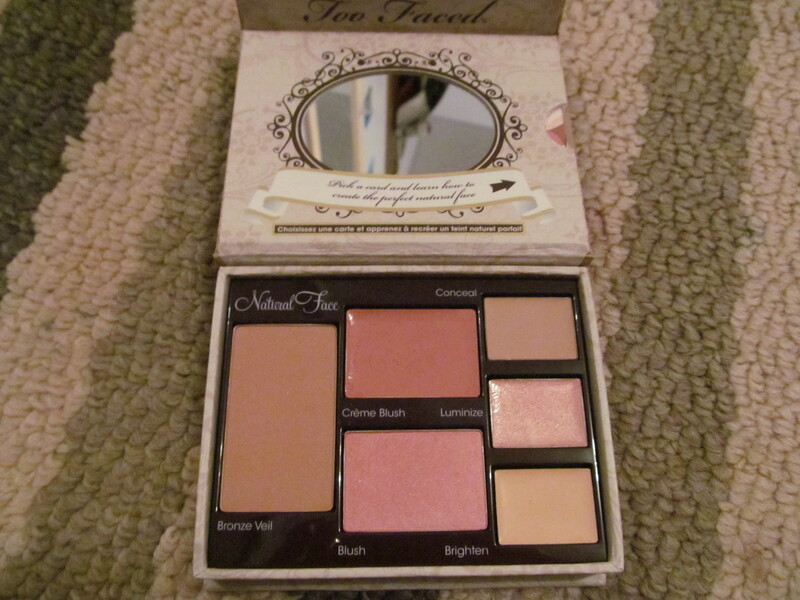 Review: I have been eyeing this palette since it came out in I believe Spring 2011 and was very excited to try it out. Unfortunately, it didn’t meet my expectations. First off the color selection is very limited only those with a light to medium skintone can actually use the palette. Women of Color would have difficulty getting the actual products to work for them especially the concealer and brightener shade. 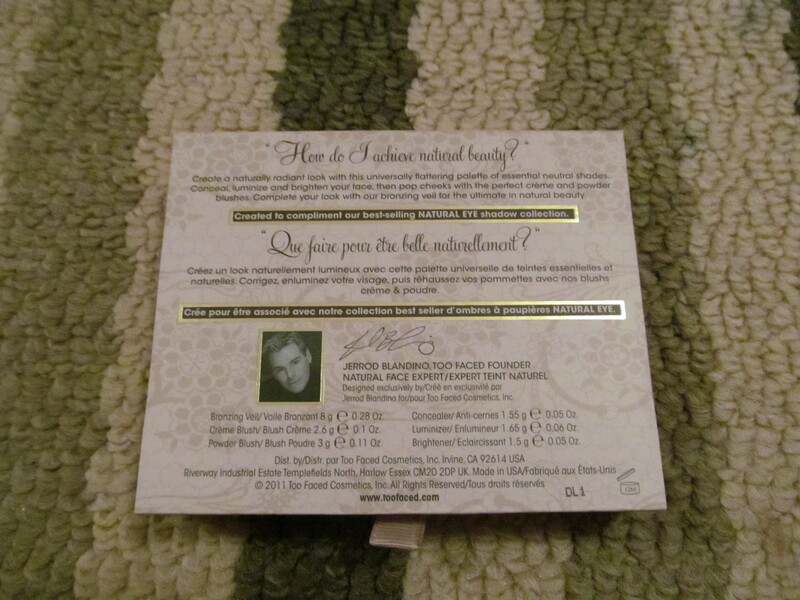 Second the pigmentation was… very poor. I thought that Too Faced’s face products would be good because their eyeshadows are well-pigmented and is silky smooth and easy to blend. 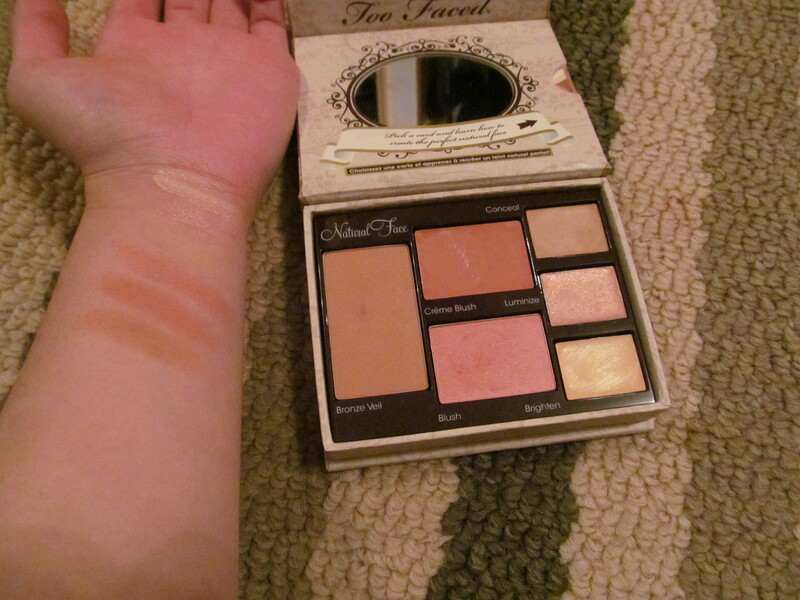 Not so with this face palette while doing a finger swatch everything looked very vibrant and pigmented but when applied with a brush it was barely seen on my skin. The only product in this that worked as it was intended was the cream blush and the luminizer. 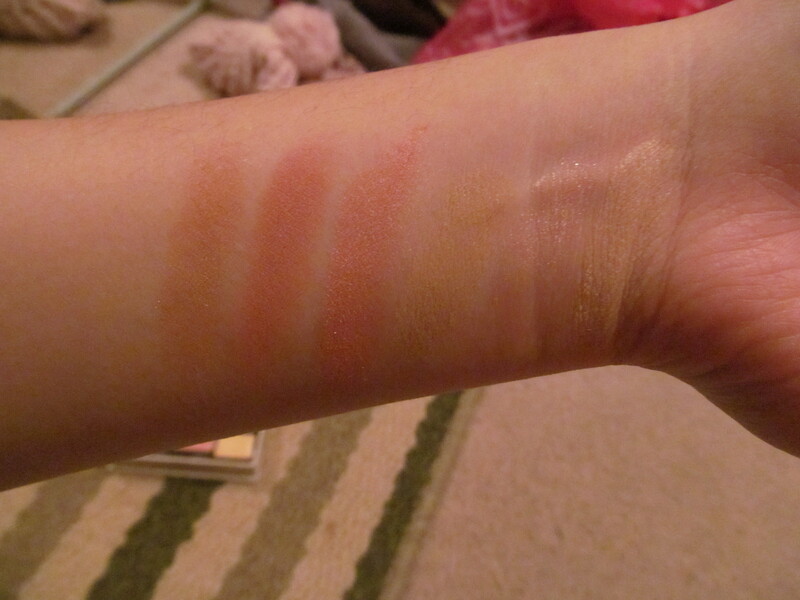 The blush barely showed up on my skin and when I did pile it on all that appeared was the shimmers in the blush though it was extremely smooth. The concealer and brightener did little to my skin when blended out it was as if it was never there and did not cover anything at all. A pet peeve of mine is actually having cream and powder products together as the cream products tend to “collect” powder dust. Overall, this is not a product that worked well for me and to pay $48CDN for only two products that work is just too much. Would I recommend this product? Not unless you are super pale and enjoy using barely there products.